Birnam Wood is a World Literature Today Notable Translation of 2018. Birnam Wood is Awarded Best Translation in the Washington Independent Review of Books. José Manuel Cardona (July 16, 1928 – July 4, 2018) was a poet from Ibiza, Spain. He is the author of El Vendimiador (Atzavara, 1953), Poemas a Circe (Adonais, 1959), and El Bosque de Birnam: Antología poética (Consell Insular d’Eivissa, 2007), published as a tribute by the government of Ibiza. He co-founded and co-edited several literary journals, among them Luna Negra, with José María Rodriguez Méndez, and Atzavara, with Francisco Galí, and wrote for many publications (Cántico, Ibiza, Isla, Eivissa, Caracola, Arkángel, Alcaraván, Poesía Española, Azemar, Alfoz, Trilce, La Calandria, Aljaba, Mensaje, among others). He participated in the II Congreso de Poesía in Salamanca and belonged to the Cántico group. The Franco regime forced him into exile in France. Years later, when the socialists came to power in Spain, he was offered a ministry position, which was ultimately denied him by the still heavily embedded Franquist administration. (He remained blacklisted for several years). He held PhDs in literature and humanities (University of Nancy), and political sciences (Graduate Institute of International and Development Studies, Geneva). He wrote his thesis on the Mexican revolution at the Instituto de Cultura Hispánica de Madrid and was an attorney (University of Barcelona). Hélène Cardona is the author of seven books, most recently Life in Suspension, Dreaming My Animal Selves, and the translations Beyond Elsewhere (Gabriel Arnou-Laujeac), winner of a Hemingway Grant, Ce que nous portons (Dorianne Laux); and Whitman et La Guerre de Sécesssion: Walt Whitman’s Civil War Writings for WhitmanWeb. She has translated Rimbaud, Baudelaire, René Depestre, Ernest Pépin, Aloysius Bertrand, Maram Al-Masri, Eric Sarner, Jean-Claude Renard, Nicolas Grenier, Christiane Singer, and John Ashbery. Publications include Washington Square Review, World Literature Today, Poetry International, The London Magazine, The Brooklyn Rail, Hayden’s Ferry Review, Drunken Boat, Anomaly, Asymptote, and The Warwick Review. She worked as a translator/interpreter for the Canadian Embassy in Paris, received fellowships from the Goethe-Institut and the Universidad Internacional de Andalucía, the 2017 International Book Award in Poetry, the 2017 Best Book Award in Poetry, the 2015 USA Best Book Award in Poetry, 2 Pinnacle Book Awards for the Best Bilingual Poetry Book, and 2 Readers’ Favorite Book Awards in Poetry. Hélène has served as a judge for the 2017 Jacar Press Full Length Competition, the 2016 PEN Center USA Translation Award, the 2015 Writer’s Digest Challenge, and the 2014 Rabindranath Tagore Award. She co-edits Plume, Fulcrum, and Levure Littéraire. Acting credits include Chocolat, Jurassic World, Dawn of the Planet of the Apes, The Hundred-Foot Journey, Serendipity, Mumford & more. Tampoco tú eres mía aunque te amo. Lo que se debe a alguien no es de uno. Al tacto de la boca y a los besos. Como la que no tengo en esta isla. Entierro bajo tierra roja y blanda. Paseamos la tristeza mano a mano. Con pámpanos de nata como senos. You are not mine either even though I love you. You are like the earth, like the island. What is owed doesn't belong to anyone. The touch of the mouth and kiss. Like the one I don't have on this island. The seed beneath soft and red earth. Sadness and I walk hand in hand. With vine shoots of cream for breasts. I must open my thirst and empty myself. con los pechos macizos como balas de goma. centauros veladores de las sombras. del pecho de un dios bárbaro. que apenas se conocen, o quizá para el nuestro. y nuestras iniciales escritas en el mar. como un pedazo más de nuestra isla. que puede ser el tuyo y vas alegre. igual que un ser atávico, criatura primitiva. de una novia dormida con los pechos redondos. con los ojos cegados por la hierba. en la mar que has amado. like one more piece of our island. your vessel in the sea you've loved. by the earth's open jaws. and the poems are just as rich in imagery and meaning! The book spans the length of José’s career and travels and is sensitively translated by Hélène as a beautiful partnership. ‘I’ve come to break crown and yoke. This seems to be a poem about José meeting his maker, or Circe swallowing him up, at the end of his days, like a familiar friend. Perhaps in this way, Circe is compared to a living paradise. This feels like a timeless statement on humanity, despite being written by a twentieth-century poet. José seems to imply a spiritual force in the world, but not necessarily that this can be defined as the traditional image of a Christian God. Overall, this was very interesting read with a classical and timeless feel. As a Spanish language novice, it was interesting to compare José’s poems to Hélène’s translations - and to note how intricately she had followed the structure and language! There’s something about Spanish poetry, this particular poetry, where nothing appears lost in translation. Its bold, declarative tone, elevated content, mystical moments, contemplation, and fire show through in Spanish and now English. Especially memorable are the 20 poems to Circe. Dorianne Laux says: Hélène Cardona’s translations are revelations of language and image, a voice dipped in clear water and wrung through her careful hands. – and Hélène’s poetic humour, it is true, deserves no lesser. Moreover, what is wonderful about the translations is that hardly anyone else could have done it better — Hélène being the daughter of José’s, she must know how the horizons take turns in his poetry. From silence to music. From wishing to demanding; wanting, to achieving. There is a flow in José’s poetry that is very beautiful in almost every way, with measured lines — manicured music. This book of 94 pages, Birnam Wood, actually an anthology of sets has, obviously, elegies, odes, sonnets and masterful talent. — from father to daughter, the translations are almost as strong as the original pieces, I firmly believe. And there are pieces that stay with you, in truth. Homeland / we share and it is the mystery. // It was written / without you or I knowing it. The pomegranate tree will bloom / where you leave your footprints. / A fire of aubades / will shatter the sky, covering / the firmament. — "Inhabited Elegy" / "Elegía habitada"
In the final part of the book, there are mythical creatures partaking in the poems, as much as you and I have done, creating in each almost an aura of its own. But before that even, there’s not lesser aura in any of those; there’s just enough to make you converse with them, with anyone. open the hands, look at them. / Do you ask of their emptiness? / You see: they love the land that is not theirs. — "Poem to Circe II" / "Poema a Circe II"
In one of the poems in the book, José writes “Now only a flutter of ashes remains, and your name / voiced by the newspaper boy.” — and then in another he writes “And the dream will cloak / the earth with snow and oblivion.” There is, as is apparent, quite a deep sense of both belonging and not belonging, more of not belonging, and that is very clearly expressed in many of the lines in this collection; but José is not someone who is struggling to belong, through his poems. He has instead found a home in not belonging — the beauty of it. Birnam Wood is a collection housing variety, with bravery, and when José wrote it down, in 2007, it seems he had made sure of being the most expressive, and that at his best. And among the many poems is one that was written in Paris, in 1955. “Over the Eiffel tower / I perceive your chained god bones”, and as it is, much of his poetry can hardly be abhorred — a completely wrong word when referring to him. — It just flows in through you. And, most of the time, stays. There is a mystery I should keep secret. Cardonas’ book is one that gets you interested in Literature apart from English — Hélène’s is not the first book, this one, but if this is the first someone reads, it is not one to be the last; and in case of José, it sure does get you closer to Spanish Literature. 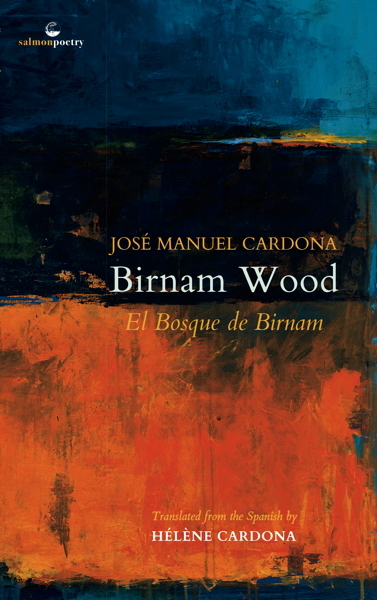 The anthology Birnam Wood was first published in Spanish as El Bosque de Birnam in 2007 by the government of Cardona’s native island of Ibiza. 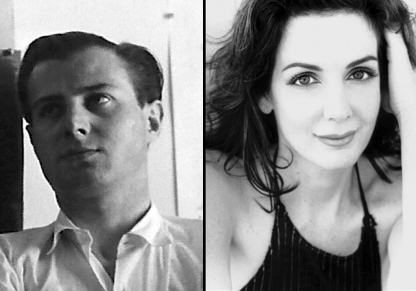 It is thanks to José Manuel’s daughter, the polyglot American poet Hélène Cardona, that it has now seen the light in English, in her spirited, inspired translation. Yet with the very word of “fleeing”-- of people being forced into times of exile by times of war and civil war—José Manuel Cardona suggests a parsimonious note of hope for future generations: Humans, take heed, and reform! And this he means, may be possible largely, thanks to the gift of poetry. Hélène Cardona has done what few translators have the chance to do: she has translated the work of her own father, José Manuel Cardona. In this book Cardona presents his readers with poems on the human condition: love and loss, as well as exile and the diaspora. Hélène Cardona is a seasoned translator, having already completed translations of authors such as Rimbaud, Baudelaire, René Depestre, Ernest Pépin, Aloysius Bertrand, and others. She has provided a service in sharing her father's work with us in English, shedding additional light on that generation of Spanish poets who were forced into exile from their country. She lets us feel the pain of distance and separation as well as of life in new places. Hélène Cardona has produced a very fine translation in Birnam Wood, a collection of her father’s poetry of travel and experience, the Ibiza poet, José Manuel Cardona, rich in language, metaphor and imagery. A lovely book and a must for students and poetry-lovers alike.